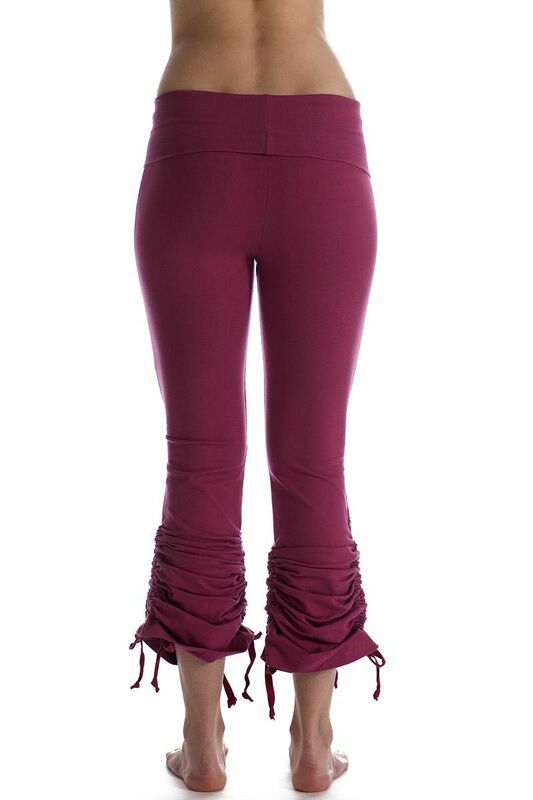 Long yogapants with high waistband that folds down to your desired height. This pant can be made shorter by the lower leg with the srings attached on both sides of the pant. So no matter short or tall it can be adjusted to your height!